Thank God it’s Friday and the weekend is here already! Are you wondering what to do this weekend? We’ve put together a list of Where To Go With The Children This Weekend December 8th & 9th In Lagos. Enjoy your weekend! 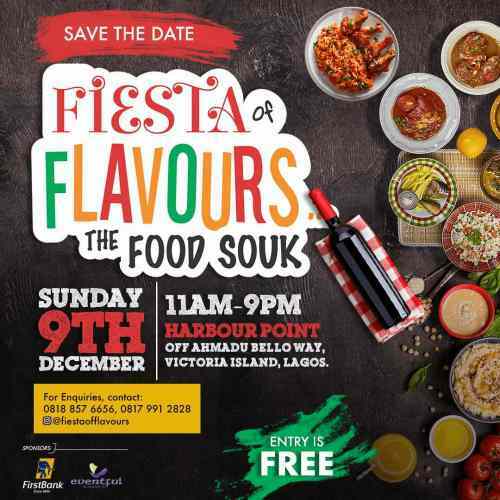 We are very excited to announce that The Fiesta of Flavours – The Food Souk by Eventful Nigeria is coming back this December!!! Have you ever been in the midst of food that you couldn’t decide what to eat? Well The Food Souk is the place to be for everything food, drinks, and happy bellies! Allow yourself drift into an exciting ambience of aromas, flavours, food discovery and tastes! Enjoy food that is new, interesting, delicious, refreshing and healthy! Call your family, friends and loved ones to save the date! Entry is absolutely FREE! There will be so many exciting side attractions. Find out more on IG: @fiestaofflavours. For more information, Please call numbers on the flyer! 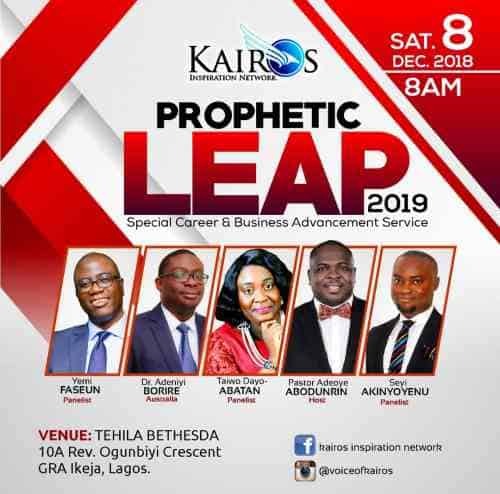 In preparation for the year 2019 and the coming years, By divine direction, we are taking A Prophetic Leap into the year with this event. The program is a special focus in preparation for the career trends and opportunities in the economy from year 2019 – year 2022. The guest minister is Dr Adeniyi Borire; Consultant neurologist& Clinical Neurophysiologist (Award winning first Black Neuro Surgeon in Australia & New Zealand). The special panel session will be taking a deep dive into the marketplace to X-ray the opportunities and plan how to capitalize on them. The panelist are: Yemi Faseun – Head HR, FBNQuest Merchant Bank, Taiwo Dayo-Abatan – Group Head, HR, Mutual Benefits Assurance PLC, Seyi Akinyoyenu – Executive Director/COO Oryx Africa. 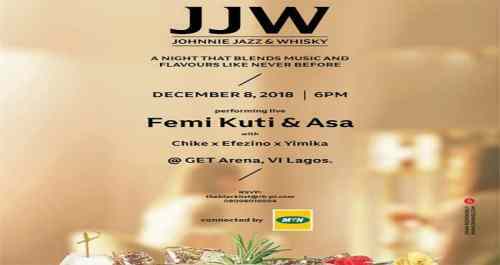 Johnnie Jazz & Whisky is hosting guests to a night of live music featuring two of Nigeria’s finest artistes, Femi Kuti and Asa. 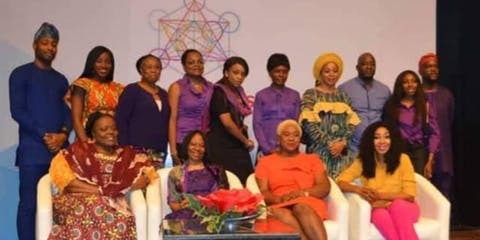 AIM Festival is organized to showcase the uniqueness, ingenuity and richness of Africa to the world through music. An avenue to experience the diversity of African music from the 6 regions of the continent, thereby bringing the world together using a universal language;MUSIC. 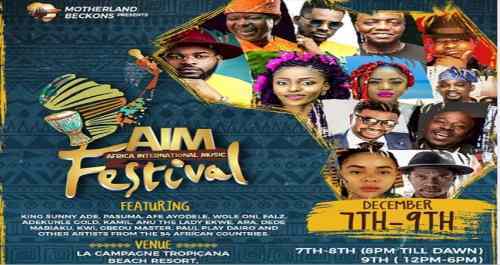 Aim festival is an activation of Motherland Beckons aimed at harnessing the artistic potentials of the continent and exporting her cultures to the world. Stories Worth Telling (Sworte) Talks 12: Politics: Opportunity to Serve! From February 2019, Nigerians who are eligible to vote will troop to the various polling booths across the length and breadth of our country – Nigeria to elect those who will lead them for another four years at the different levels. It’s our 12th edition and for Stories Worth Telling (Sworte) Talks 12, the theme is Politics: Opportunity to Serve. The storytellers are known faces that would be on the ballot papers, and so they will be sharing their stories of what led them into politics and why they have decided to seize the opportunity to serve. Want to get your event featured? 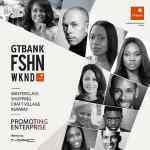 Do you know of some more events happening in Lagos? Do please share with us [email protected].